ph. 412- 578-8197 3 Rivers Wet Weather is a nonprofit environmental organization created to support 82 Allegheny County municipalities and the City of Pittsburgh in addressing the region’s wet weather overflow problem. Founded jointly by the Allegheny County Health Department (ACHD) and the Allegheny County Sanitary Authority (ALCOSAN), 3 Rivers Wet Weather is funded by federal, state and local resources, including local foundations. ph. 412-407-5287 412 Food Rescue aims to fight hunger by collecting fresh, healthy food from restaurants and retailers that would otherwise be discarded and directly distributing to community organizations that serve those in need. 412 Food Rescue is a rapid response organization that utilizes technology to aggregate and match food donors and beneficiaries and mobilizes a community of volunteers to efficiently transport food between locations. Allegheny Cleanways ph. 412-381-1301 Allegheny CleanWays is a non-profit organization formed to engage and empower people to eliminate illegal dumping and littering in Allegheny County. ph. 412.281.4783 ext. 4573 The Allegheny Conference on Community Development is one of the United States’ foremost civic leadership organizations. With roots in leading the charge, beginning in 1944, to clean up Pittsburgh’s air and water, the Allegheny Conference – for nearly 75 years – brings together public and private sector leaders to identify and maximize the long-term opportunities in 10 southwestern Pennsylvania counties, with the city of Pittsburgh at the region’s heart and its urban core. 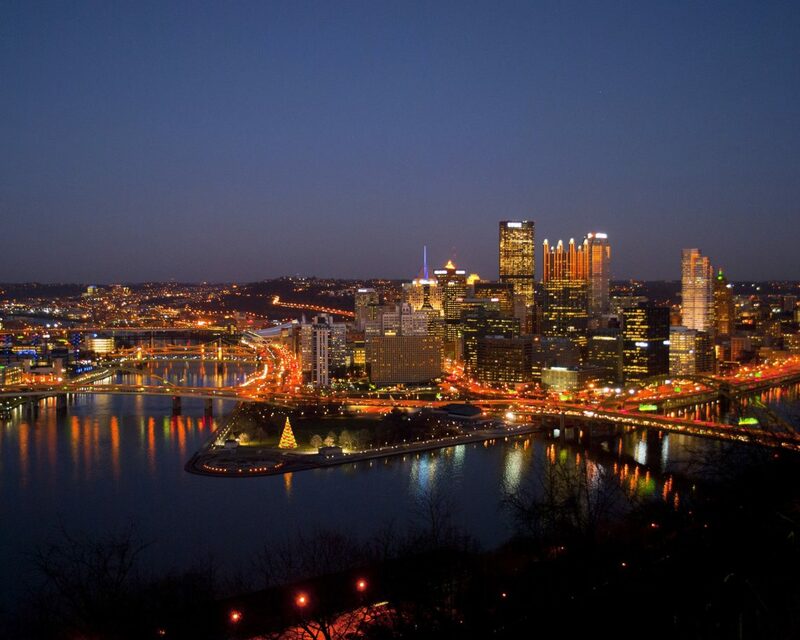 Through the support of a 300-plus Regional Investors Council, the Allegheny Conference continues to make progress on improving the economic future and quality of life for those who live, work, play and invest in the Pittsburgh region. ph. 412-741-2750 Allegheny Land Trust is a non-profit organization helping local people save local land in the Pittsburgh Region. Protecting more than 2,000 acres of green space in Allegheny and Washington Counties, ALT works to protect lands of significant value to our region’s unique scenic landscape, biodiversity, and water quality. In addition to those categories, ALT protects land for the use of current and future generations to enjoy for recreational and educational purposes. Allegheny Parks Foundation ph. 724-327-7627 The Allegheny County Parks Foundation supports the improvement, preservation, and restoration of nine county parks consisting of 12,000 acres strategically located throughout Allegheny County. ph. 412.325.4334 Bike Pittsburgh works on behalf of the Pittsburgh community to make the city safe, accessible, and friendly to bicycle transportation. Well-designed bikeways, walkways, and communities will make riding a bike or walking comfortable, convenient, and fun. ph. 412-281-5777 The Breathe Project works to promote clean air and inspire healthy communities across southwestern Pennsylvania. We use the best available science to understand the quality of the air we breathe, build public awareness and improve community health and wellness. Construction Junction ph. 412-243-5025 At Construction Junction our mission is to support and promote conservation through the reuse of building materials. A nonprofit with both an environmental and social impact, CJ accepts donations of used and surplus materials at its large warehouse, and then sells them in a 30,000 sq. ft. store to new users at a fraction of the cost of new. ph. 412-396-6051 Founded in 1878, Duquesne is consistently ranked among the nation's top Catholic research universities for its award-winning faculty and tradition of academic excellence. The University is nationally ranked by U.S. News and World Report and the Princeton Review for its rich academic programs in nine schools of study for nearly 10,000 graduate and undergraduate students, and by the Washington Monthly for service and contributing to students' social mobility. Duquesne is a member of the U.S. President's Higher Education Community Service Honor Roll with Distinction for its contributions to Pittsburgh and communities around the globe. The U.S. Environmental Protection Agency and the Princeton Review's Guide to Green Colleges acknowledge Duquesne's commitment to sustainability. ph. 412-247-7970 ex113 Through an innovative, ecoliteracy-based curriculum, we grow active, engaged empathetic citizens who are critical thinkers and purposeful agents of change. We do this with holistic teaching methods rooted in real-world problems, with an organizational style that supports thoughtful growth, and with leaders and faculty who inspire students to bloom. We grow citizens. ph. 412-773-6001 Green Building Alliance (GBA) is inspires the creation of healthy, high performing places for everyone by providing leadership that connects knowledge, transformative ideas, and collaborative action. Headquartered in Pittsburgh, Pennsylvania, GBA was founded in 1993, is one of the oldest regional green building organizations, and is an U.S. Green Building Council affiliated chapter. ph. 412-361-3424 x201 Global Links is a Pittsburgh-based nonprofit that improves public health in low-resource communities. Each year Global Links redirects hundreds of tons of medical surplus from local landfills and distributes materials to healthcare workers serving vulnerable, under-served and indigenous communities at home and abroad. For more than a decade, Grounded, formerly GTECH Strategies, has been helping communities create the change that’s best for their community. Grounded is proud to help neighbors take action by providing access to the knowledge, resources, tools, and networks they need to make sustainable change. ph. 412 471 3727 x215 We support the people, organizations and partnerships committed to creating and maintaining thriving neighborhoods. We envision a Pittsburgh with healthy neighborhoods that are thriving, resilient, and livable for all! ph. 412-208-6568 Peoples is the largest natural gas distribution company in Pennsylvania. It provides reliable and low cost natural gas service to approximately 700,000 homes and businesses in western Pennsylvania, West Virginia, and Kentucky. The company’s mission is to improve the lives of its customers and help build long-term economic growth for the region. ph. 412-444-4464, x231 Pittsburgh Botanic Garden is nurturing a unique vision to transform 460 acres of forested land into an outdoor botanic garden located just ten miles west of downtown Pittsburgh. Previously the site of farming, logging, and coal mining projects, visitors are now invited to explore 60 acres of cultivated landscapes encompassing the Margaret L. Simon Dogwood Meadow, Peirce Family Celebration Garden, and Japanese Garden. ph. 412.622.6915, ext. 3801 Built in 1893, Phipps Conservatory and Botanical Gardens leverages its rich history as a premiere Pittsburgh cultural destination, one of the nation’s top conservatory experiences, and a cutting-edge example of world-class horticulture, as a platform to demonstrate that human and environmental health are interconnected and to promote sustainable actions. Phipps commitment to sustainability began with a sustainable campus expansion and rethinking of operations and programs, resulting in the first LEED® certified visitor center in a public garden, LEED Platinum production greenhouses, and an innovative, energy-efficient Tropical Forest Conservatory. In 2012, Phipps opened the Center for Sustainable Landscapes (CSL), an education, research and administration facility that generates all its own energy, treats and reuses all water captured on-site, and is the world’s only project to meet all the world’s four highest green construction standards: The Living Building Challenge™, WELL Building Platinum, Four-Stars Sustainable SITES™ and LEED® Platinum. Together with the completed modular SEED Classroom and retrofitted Exhibit Staging Center (forthcoming in 2018), the CSL will soon be part of a campus of three certified Living Buildings at Phipps, each showcasing a different construction type. ph. 412-682-7275 A nonprofit organization, the Parks Conservancy has worked closely with the City of Pittsburgh since 1998 under an official public-private partnership agreement to restore the city's four regional parks: Frick, Highland, Riverview, and Schenley. In addition to completing 17 major park improvement projects, stewarding over 1,700 acres, and working with thousands of volunteers annually, the Parks Conservancy has expanded into community and neighborhood parks throughout Pittsburgh. ph. 412-434-3046 At PPG, we work every day to develop and deliver the paints, coatings and materials that our customers have trusted for more than 130 years. Through dedication and creativity, we solve our customers’ biggest challenges, collaborating closely to find the right path forward. With headquarters in Pittsburgh, we operate and innovate in more than 70 countries, serving customers in construction, consumer products, industrial and transportation markets and aftermarkets. Project RE info@projectrepgh.com A collaborative space to reuse materials, rebuild communities, and restore lives, Project RE_’s mission is to reuse materials and facilitate landfill diversion; rebuild communities by strengthening capacity of local residents; and restore lives by teaching people trade skills to secure a living wage. The 10,000 square-foot space in Pittsburgh’s East End includes a community room, design studio, gallery and workshops for wood, metal, masonry and digital fabrication. It is a partnership between the Urban Design Build Studio at Carnegie Mellon University, the Trade Institute of Pittsburgh, and Construction Junction, Pittsburgh’s first non-profit building material re-use retailer and a promoter of conservation through the re-use of building materials. The three non-profits are leveraging their assets to create opportunity for prosperity by expanding knowledge and skill sets. ph. 412-258-6646 Sustainable Pittsburgh affects decision-making in the Pittsburgh region to integrate economic prosperity, social equity, and environmental quality as the enduring accountability, bringing sustainable solutions for communities and businesses. SP carries out its mission through formal sustainability performance programs (blueprints for action and recognition for achievement); professional development and technical assistance; and regional initiatives. Its two primary networks, Champions for Sustainability (for businesses) and Sustainable Community Development Network (for communities and local governments), serve to educate and engage decision-makers and in turn elevate understanding of the business case for the benefits that accrue when environmental, social equity, and economic interests are advanced simultaneously. ph. 434-251-7580 Thread is on a mission to end poverty by creating dignified jobs and responsible, high-quality fabrics. A Certified B Corporation, Thread transforms plastic bottles from the streets and canals of Haiti and Honduras into the most responsible fabrics on the planet. Every product made with Thread supports thousands of purpose-filled jobs in the developing world and the United States. Global brands like Timberland use Thread’s premium fabrics in their products, such as apparel, shoes and bags, to improve their social and environmental impact. Founded in 2006, Tree Pittsburgh is rooted in the desire to grow and protect Pittsburgh’s trees. The environmental non-profit organization is dedicated to enhancing community vitality by restoring and protecting the urban forest through tree maintenance, planting, education and advocacy. One of the oldest university engineering programs in the U.S., Pitt’s Swanson School of Engineering has excelled in basic and applied research during the past decade and is at the forefront of 21st century technology including sustainability, energy systems, bioengineering, micro- and nanosystems, computational modeling, and advanced materials development. Approximately 120 faculty members serve more than 2,600 undergraduate and graduate students and Ph.D. candidates in six departments, including Bioengineering, Chemical and Petroleum Engineering, Civil and Environmental Engineering, Electrical Engineering, Industrial Engineering, Mechanical Engineering, and Materials Science. ph. 412-624-1085 An internationally renowned public-research university founded in 1787, the University of Pittsburgh (www.pitt.edu) is a leading center of learning and research in the arts, sciences, humanities, professions, and health sciences. With 16 schools and colleges and more than 34,000 students on five campuses, the University offers more than 400 degree programs.